Mike Richter, a member of the 1994 Stanley Cup champion New York Rangers, receives the John V. Mara Sportsman of the Year Award from Cardinal Dolan at the 82nd annual CYO Club of Champions Tribute at the InterContinental New York Barclay in Manhattan June 7. Richter, now president of Brightcore Energy in Armonk, was honored with attorney Martin Edelman, Gold Medal winner, and philanthropist Mark D’Urso, Terence Cardinal Cooke Humanitarian Award winner. Long before Mike Richter hoisted the Stanley Cup with the 1994 New York Rangers, he suited up in a helmet and pads to play CYO football in the Archdiocese of Philadelphia. “I was a product of the CYO program, and I had nothing but fantastic experiences growing up in Philadelphia,” Richter told CNY before receiving the John V. Mara Sportsman of the Year Award at the 82nd annual CYO Club of Champions Tribute at the InterContinental New York Barclay in Manhattan June 7. Martin Edelman, an attorney with Paul Hastings LLP, and Mark D’Urso, a former Key Food supermarket owner and philanthropist, were honored with the Gold Medal and Terence Cardinal Cooke Humanitarian awards, respectively. 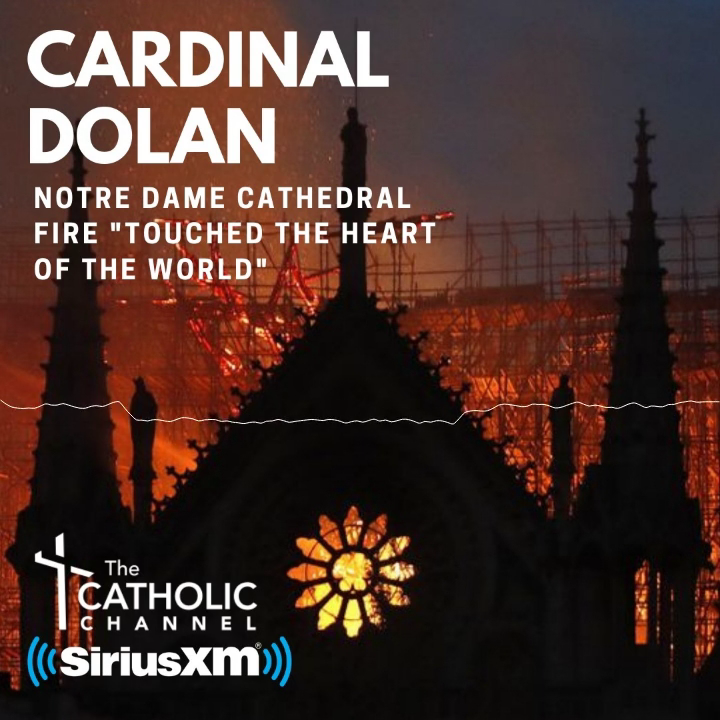 Speakers and presenters included Cardinal Dolan; Msgr. Kevin Sullivan, executive director of Catholic Charities; John Mara, New York Giants co-owner; Randy Levine, New York Yankees president; and Patrick Schwarz, chairman of the CYO board of directors. Television host Carson Daly served as master of ceremonies. The event was attended by 320 guests and raised more than $525,000 for CYO New York, which has more than 26,000 children participating and 4,000 volunteers coaching and handling other tasks. Richter, who served as an altar boy at St. Genevieve parish in Flourtown, Pa., came away with a great appreciation of CYO and its volunteers. He wanted the CYO coaches and other volunteers at the dinner to understand their work makes a difference. “You are affecting peoples’ lives in profound ways and it stays with you forever. I know so much I learned and I applied to my athletic career as a goalie and certainly in my life, I learned in my early years through the CYO,” said Richter, who is raising three teenage boys with his wife, Veronica. A three-time NHL All Star in his 15 seasons with the Rangers, Richter represented the United States at three Winter Olympic Games, winning a silver medal in 2002, and at the 1996 World Cup, where the U.S. won gold. He had his No. 35 retired by the Rangers in 2004 and was inducted into the U.S. Hockey Hall of Fame with Rangers teammate Brian Leetch in 2008. Following his hockey career, Richter enrolled in Yale University, where he earned a degree in ethics, politics and economics with a concentration in environmental policy. He is the president of Brightcore Energy in Armonk, a company with expertise in LED lighting and energy efficiency. Edelman, who played CYO basketball at Our Lady of Mount Carmel in White Plains, is a graduate of Princeton University and Columbia Law School, and was voted one of the 34 most influential lawyers in the country by National Law Review in 2011. Edelman is a founding member of the Jackie Robinson Foundation and The Intrepid Fallen Heroes Fund, and serves on the boards of the Manchester City, Melbourne City and New York City soccer clubs. He played a role in bringing the Yankees and Manchester City together to start Major League Soccer’s New York City Football Club, which plays its home games at Yankee Stadium. D’Urso, a graduate of Iona Prep and Iona College, served on the board of Key Food Stores Co-Operative Inc., from 2010 until his retirement in 2015. In the past decade, he has worked with Catholic Charities to help feed those in need in the archdiocese at Thanksgiving by purchasing and distributing more than 5,000 turkeys, along with potatoes and vegetables, at the Lt. Joseph P. Kennedy Memorial Center in Harlem. In 2015, he contributed hams and chickens with all the trimmings to feed 200 families a Christmas dinner in the archdiocese.